Sustainable biochar or bust only time will tell. Biochar project. Sustainable biochar revolution could it be stopped before it begins? I sit here, a reasonably well traveled Canadian in her middle class English living room. My world is good. I eat well, I am healthy I have a good job. Although I am not rich, I do not want for anything. However, I am still uneasy. Yes, the world is doomed. Climate change looms upon us like a big dark cloud. There are more mouths to feed on less land. But this is not the source of my unease. In my day job, I work as a researcher in a well-respected research institute. My job is to describe how biochar helps soils and improve crop growth. So why am I so uneasy? Aren’t I doing something to help people? To put it simply, I feel that even biochar has its growing demons. I am worried about how biochar is being pushed along the path to commercialisation in the haste which is climate change mitigation. Let me explain. Is not a product that stands alone, independent from all other processes. It fits into a larger ecology. Biochar is a by-product of combustion, in this case pyrolysis or gasification. The biochar I use is made from waste woodchip fed into a gasification-powered combined heat and power plant. Generally such a sustainable biochar source is not common place. 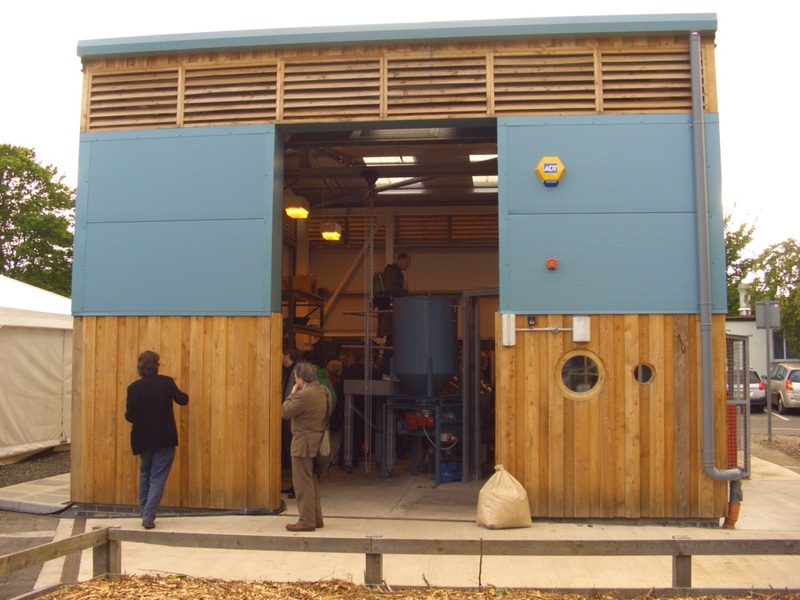 Most of the biochar currently in use here in Britain is not a by-product of energy production at all but produced as a bespoke soil enhancer from bespoke pyrolysis reactions. Essentially, not only is the feedstock acquired or even grown for combustion but the heat and energy produced is mostly lost. Sustainable biochar cont. The new bespoke pyrolysis reactor at the UK Biochar Research Centre in Edinburgh Scotland. Scientists working in biochar research tend to focus on how biochar affect a small portion of the environment. This makes sense. They all have results to gather and papers to write…as do I. However, it worries me that the context of this research is lacking. If biochar is to become a real solution to an increasing amount of global problems, it must be used appropriately and alongside other technologies. Simply making biochar from bespoke feedstocks is a mistake. Biochar can only be ecologically effective if it is. 1) made from waste and. 2) a by-product of renewable energy. To use biochar on any great scale in any other will simply fail to comply with the rationale behind its production. Biochar Sustainable, biochar, as any new industry, should consider its rate of growth. Too slow, and you risk not being competitive with other climate change solutions. Too fast, and you risk a boom and bust scenario. I am particularly concerned about fast growth. There is a focused push toward commercialising biochar in Europe. Making biochar production profitable is certainly an important step but it should never be done at the expense of sustainability. Imagine this scenario. Demand increases for biochar and a pyrolysis plant is built. If demand for bespoke biochar is created, bespoke feedstocks are needed. Perhaps these are not waste but plants grown with the intention of pyrolysis. In this case, you have a pyrolysis reaction which wastes energy and grows crops for biochar production. I am concerned with growing similarities to the “crops for biofuels, not food” argument. In our enthusiasm to get biochar off the ground, we are at a very real risk of creating a public backlash. Let us not forget the lessons from GM crop introduction in the UK. Openness and sustainability must be central to everything we do in biochar research and development. 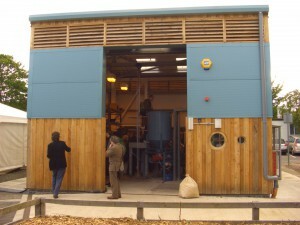 We need to grow an industry at a reasonable pace, using waste biomass whilst capturing and using every unit of energy. Otherwise, we may as well be drilling for oil. 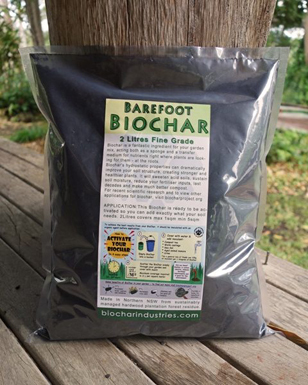 Sustainable biochar. The beauty of thermal conversion of biomass, in it’s several different pathways, is integration of nutrient management for rectification of the phosphorous and nitrogen cycles in addition to rectifying the carbon cycle. To research soil interactions I have no problem with under utilization of waste heat. At production scales all products must be put to their highest values, with full life cycle analysis to ensure sustainability. This new twist on “Old Hat” biofuel technologies is What we can do NOW, what I suggested at the Commission for Environmental Cooperation, to the top three EPA officials of north America.